This house loves Lush. We love everything from it all of us even Adam. Our obsession started about 4 years ago when my sister bought me a strange soap. To start with I just thought it was another smelly product that I would thank her for then leave on the shelf to go dusty. Little did I know it would start a borderline addition to the brand. It has surprised me over the last few years how few people share our love for it and it has become a little personal mission to make sure all my friends at least try it as I’m sure they will love it just as much as we do. It also seems to be a go to gift for people to buy me now and I’m not complaining at all, the more the better. I have discovered that not everyone gets it though. as in they don’t know the difference between a bomb melt bubble bar shower jelly and thinking about it all the different products can be a little daunting. So here are our top picks as a family. These are just amazing especially the comforter. All you do is break a little off then run it under a warm tag. And like magic it make the most glorious smelling bubbles you could wish for. They do these in so many different scents but this is our favourite. Of course this is a no brainer. 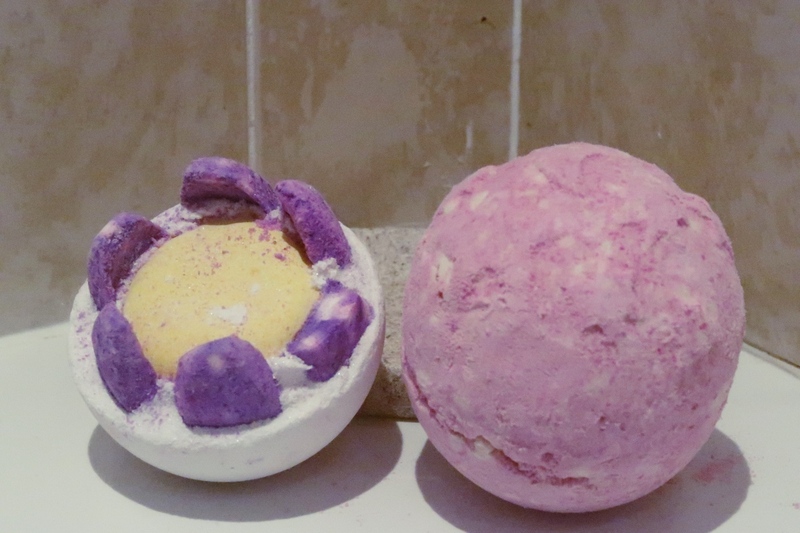 We love bath bombs. I can’t actually tell you why we love them so much. It’s just we get such a pleasure watching it fizz away. Then the smell that fills your bathroom is just insane. These two are beautiful twilight is such a pretty colour and really does smell amazing. 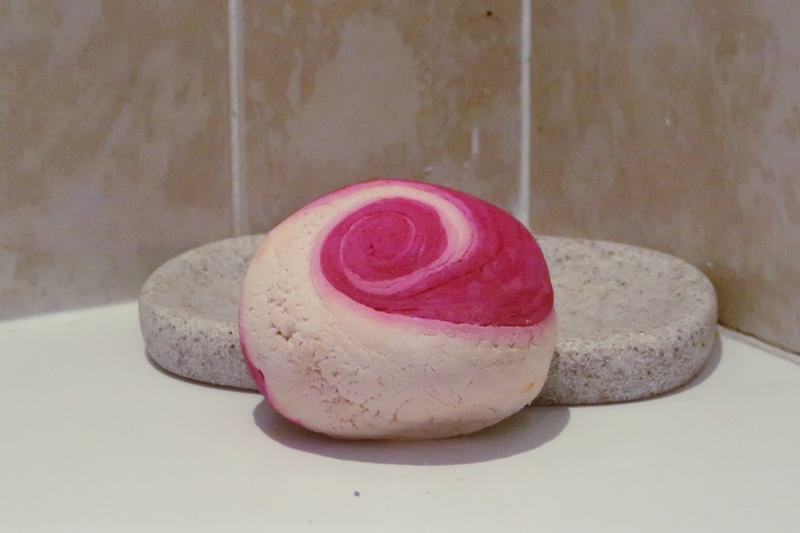 Then the lotus blossom is so pretty it’s almost a shame to pop it in the bath to fizz away. Not a lot of people realise that they do so much more than just bombs. Their face masks are so good. They are all natural and smell amazing. Not to mention the fact that they leave your skin feeling brand new. And the hand cream is so nourishing it is easily one of the best that I have ever used. They also do scrubs from body to lip. Yes that’s right a lip scrub. 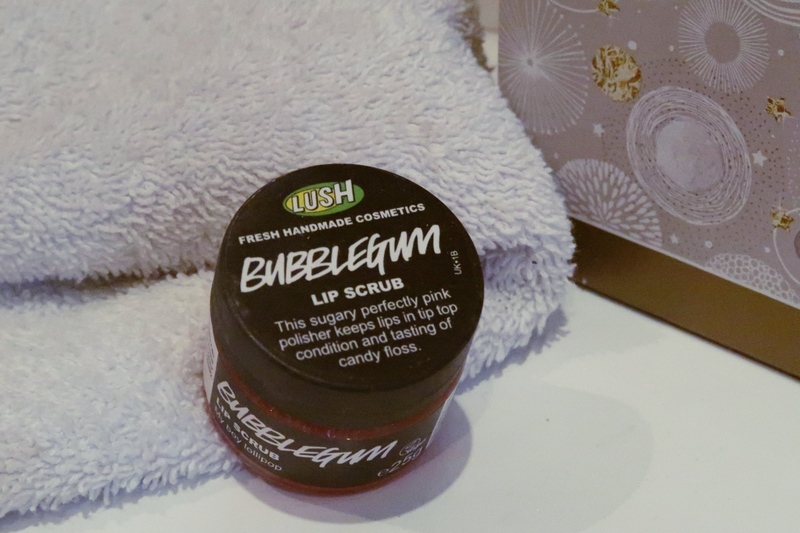 I wasn’t sure at first as the thought of scrubbing my lips was rather weird. After using it though I don’t think I will ever stop. It’s basically sugar that you are rubbing on your lips. The result is the softest lips you will ever have. And the bonus of it tasting like candy floss is awesome. This is only a snippet of all of the products that they sell. The fact that they bring new ranges out every season i don’t think anyone could ever get board of them. They have a huge range for men as well so it’s not just for women. Also as it’s all natural I feel very confident letting the kids use it. 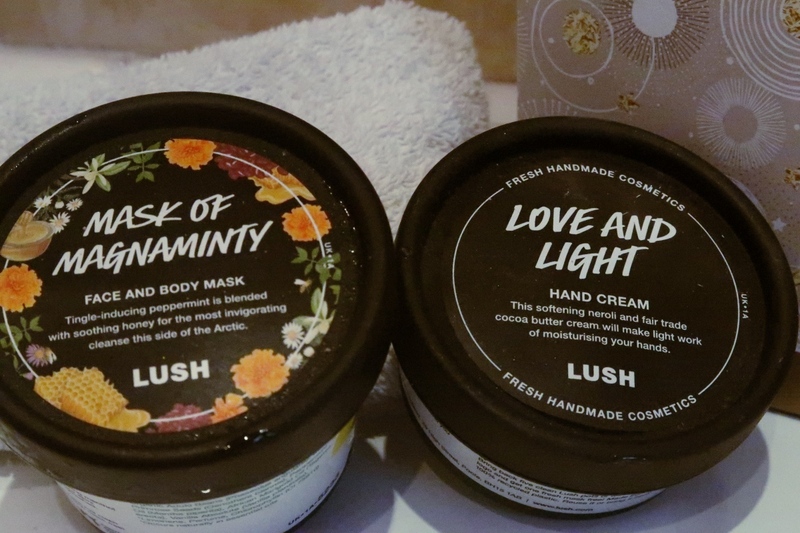 If you haven’t tried anything from Lush yet please go treat your self I think you will really like it. Or let me know what your favourite product is I may not of tried it.